Home Dog Health What Can I Give My Dog for Diarrhea? Dogs often suffer from an upset stomach and that usually leads to vomiting or diarrhea. While diarrhea can be a symptom of another, more serious disease, in most cases it can be treated with medication, or even temporary diet changes and home remedies alone. In most cases, diarrhea is caused by something you're dog has consumed that he shouldn't have. It isn't dangerous for the pup and will likely go away within a day or so. There are also ways you can stop diarrhea yourself without a trip to the vet, as well as make some helpful dietary adjustments. Here's what you can give your dog for diarrhea. One of the best things to feed your dog when he has diarrhea is white rice. In fact, it is recommended make your dog fast for 24 hours and to give him only rice water during that time. Don’t use brown rice because it has more fiber, which can make your dog’s diarrhea worse. Also, choose high-quality white rice, not “minute” rice. Rice water is basically the water in which you cooked the white rice. This creamy liquid should always be available to your pooch when he fasts. Making rice water is simple: boil one cup of rice in four cups of water for about 20 minutes or until you notice that water has become creamy white. After one day of fasting, you can add other things to your dog’s diet, but white rice should be the main ingredient in his meals for a while. In addition to rice water, your dog should always have access to fresh, clean water as well. Diarrhea can make your dog dehydrated, so make sure that he drinks plenty of water to replace the loss of fluids. If you notice that your dog doesn’t drink water at all, a trip to the vet may be necessary. Bone broth is another good addition to your dog’s diet when he has diarrhea. Bone broth is full of gelatin, which can promote healthy gut and help with gastrointestinal distress. In fact, it is a good thing for your pooch at any time because it is helpful for joints and liver as well. Bone broth is simple to make, but it takes more time. Just put some bones in a pot, add water to cover all the bones and let it simmer for a day to get all the nutrients out of bones. You can use both cooked and raw bones to make it. Add a bit of vinegar or lemon juice to it; 2-4 tablespoons of apple vinegar is enough for a standard crockpot. Start to cook the broth on high temperature, but set it to low after the first hour and let it simmer. When it is done, let it cool off a bit and then remove excess fat from the top. The broth should have a jelly-like consistency after it cools off. Probiotics are living bacterial cultures that assist the body in reestablishing the natural gut flora. You can find probiotics in yogurt and kefir, or you can get them from a health food store or pharmacy in a form of powdered supplements or capsules. Some of those specially made probiotics for dogs are even available on Amazon or Chewy. You can add probiotics to your dog’s rice water during the fast as well. Even when your dog is healthy, include probiotics into his diet to ensure the steady growth of healthy good bacteria. If you don't want to resort to chemical-based diarrhea remedies for dogs, then slippery elm is the next best thing to help with pup with diarrhea. It also works for constipation and other stomach problems. This herb can reduce inflammation and lubricate the digestive tract with oily secretions that are naturally a part of it. Slippery elm comes in powder, syrup or capsules. Many cooling herbs are good for dogs with diarrhea and other digestive problems, but peppermint is one of the best. It can calm the muscles of the intestinal tract and reduce the number of spasms. Don’t give your dog human peppermint products since they can contain ingredients that are toxic to dogs, like xylitol. It is best to give your dog fresh chopped leaves of peppermint. Be careful with the dosage since peppermint is very strong. One dose for a small dog is about ¼ teaspoon, ½ teaspoon for a medium dog and one teaspoon for large dogs. Marshmallow Root is a type of herb that can soothe the mucous membrane of your dog’s digestive tract, which is why it's appropriate to give to a pup with a bout of diarrhea. While there are many ready-made products with marshmallow in them, it is best to give it in liquid form. Give it to your dog twice a day, in doses of 0.5-1.5 ml per 20lbs. of weight. Bananas can be very helpful for diarrhea since they are both moisturizing and cooling food, and they also have other health benefits for dogs. Bananas also have pectin, which is a soluble fiber that binds water in the colon. 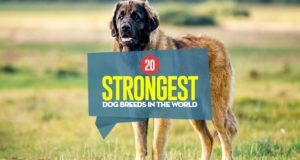 They are also rich in potassium, which is usually depleted when your dog has diarrhea. One teaspoon of mashed bananas per 10 pounds of weight is enough to help your pooch. 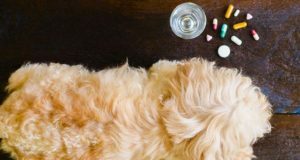 Diarrhea in dogs is typically not a serious problem and it can be treated easily with these home remedies. 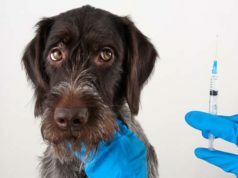 However, if your dog still has diarrhea after a few days, you must see a veterinarian because there might be a more serious underlying health problem. Next articleDisaster Preparedness: Are You and Your Pet Prepared?